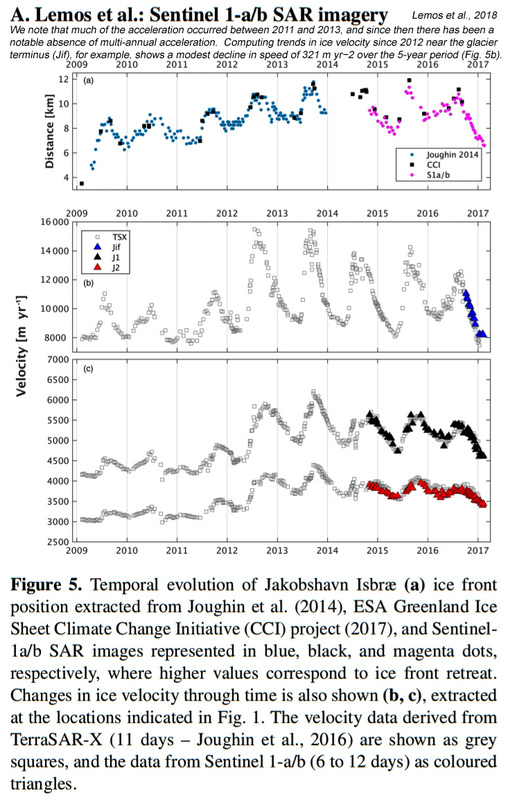 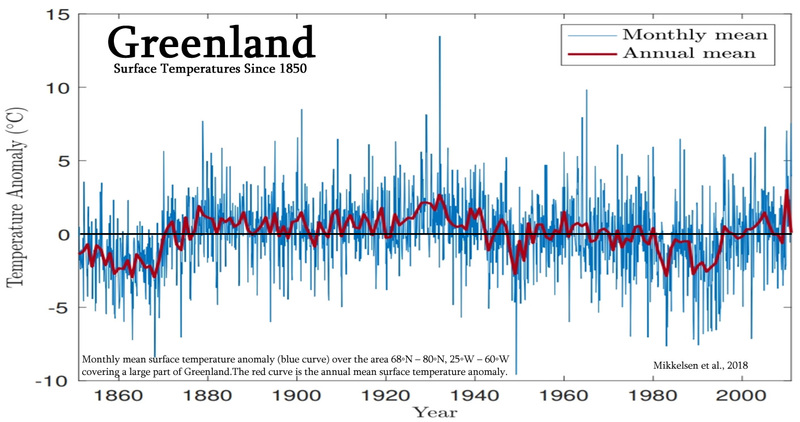 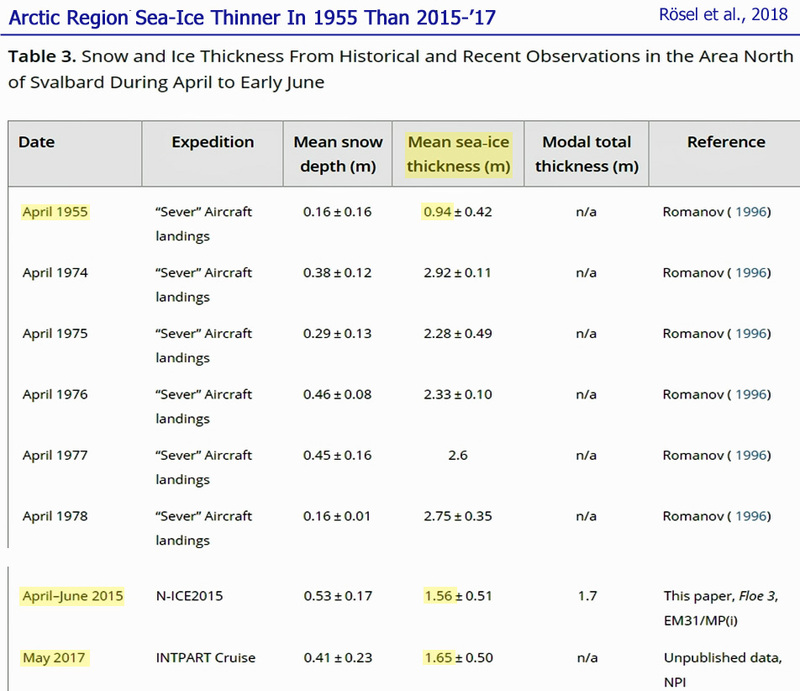 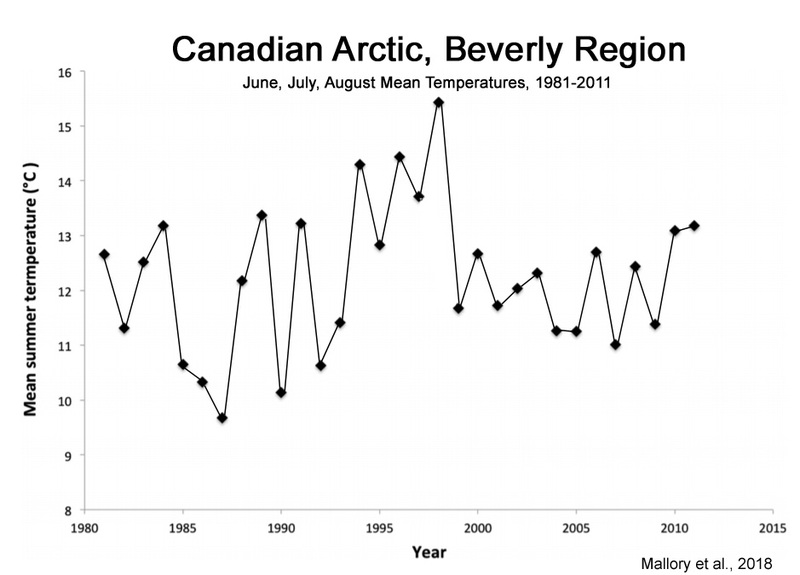 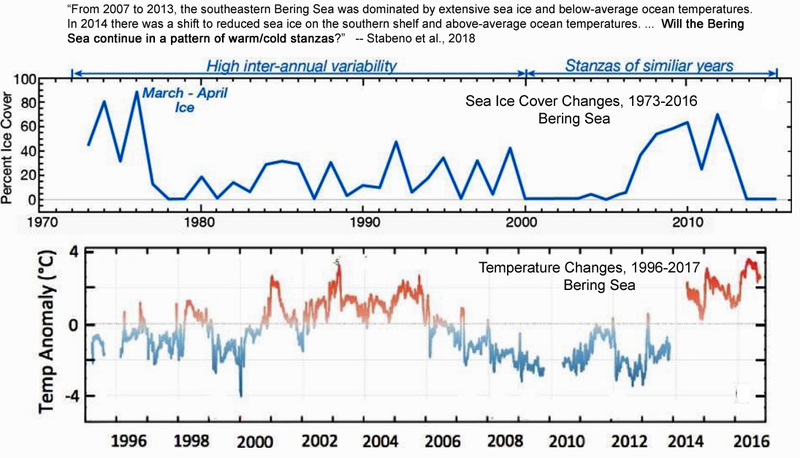 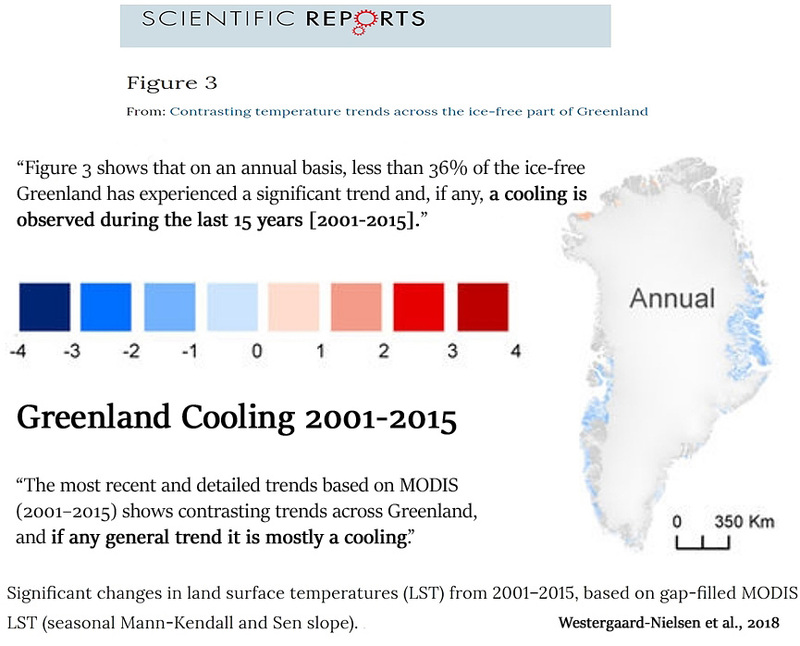 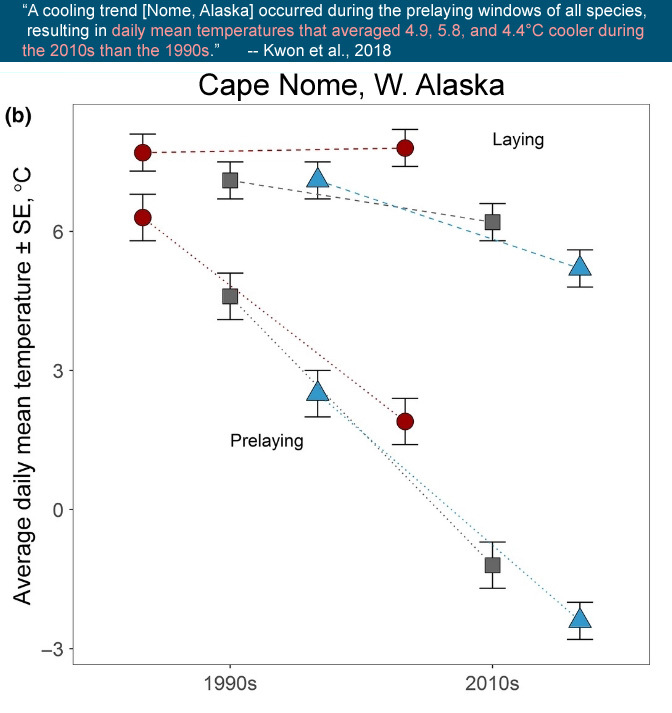 An accumulating collection of “headlines” taken from the 2018 scientific literature is indicating the Arctic region is no longer experiencing accelerated mass ice sheet/glacier loss, warming, or sea ice declines. 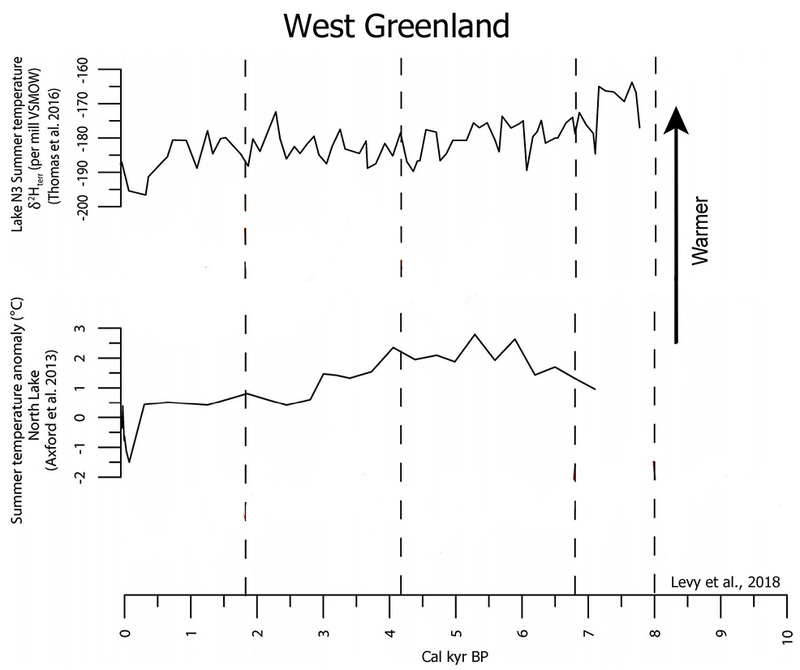 As indicated first by Swart et al. 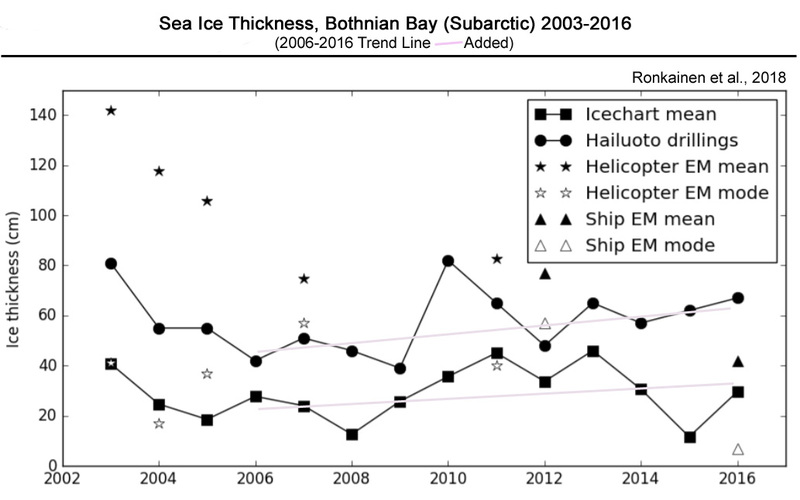 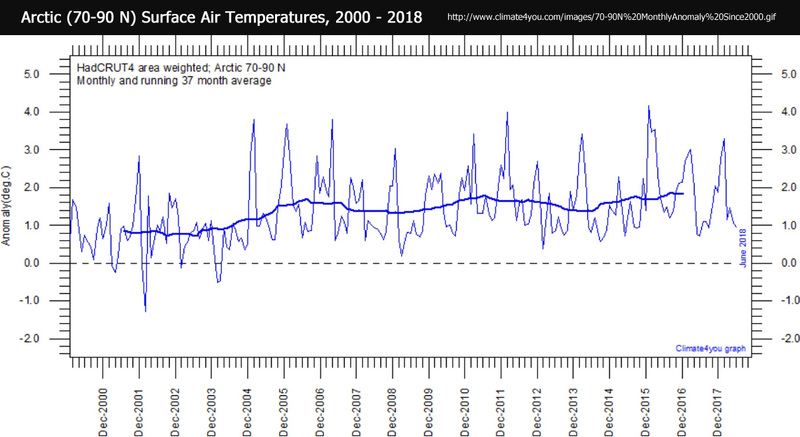 (2015), there was “a 7-year period of near-zero trend in September Arctic sea-ice extent, as observed between 2007 and 2013”. 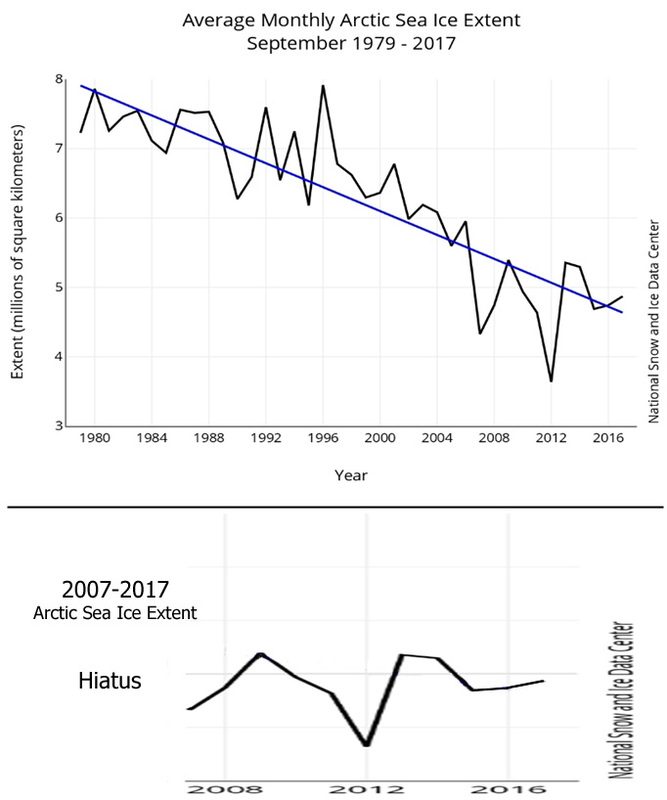 Extending this non-trend another 4 years, there has been no detectable trend in September Arctic sea ice during 2007-2017.